The shared facilities in the Walled Garden itself include a unisex toilet and shower, wash basins and kitchen sink. However, you are also able to use the separate heated male and female shower block and laundry room provided for our other small 23 pitch site a few yards away. We only accept members of The Camping & Caravanning Club and Caravan & Motorhome Club. Only breathable groundsheets are permitted. 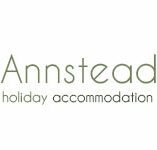 Hard Standing Pitch: 2 people, including 10amp electric and showers, from £22 to £24 per night, depending upon time of year. Extra person there is an additional fee of £2 per person per night. Gazebos – £5 per night.